Senior Confession. 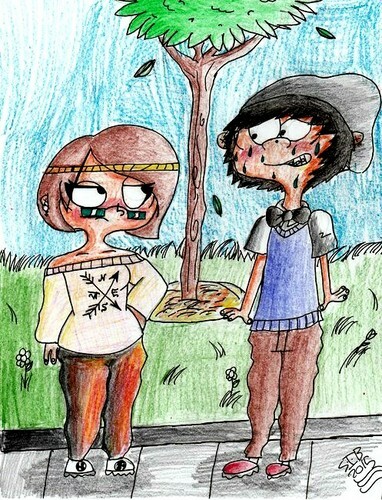 end of senior ano when Edd decides to confess his feelings for Janette.. Wallpaper and background images in the Ed, Edd and Eddy club tagged: photo ed edd n eddy oc shipping love janette hipster teens. This Ed, Edd and Eddy fan art contains anime, banda desenhada, manga, desenhos animados, mangá, and quadrinhos.